You think you have seen it all? Olay Whips + Olay Magnemask is prove you have not..
What is Olay Whips? Olay Whips is a new moisturizer, but then there is just so much more about the Olay Whips than meets the eye. These whips not only acts as a moisturizer but it makes a great primer too. 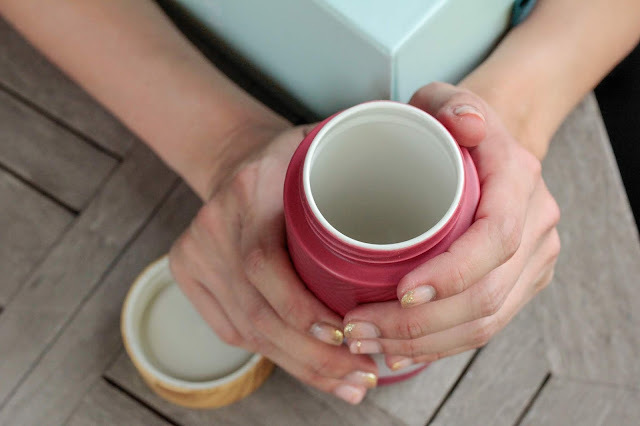 I have combination dry skin so a good moisturizer is essential for me, what I love about the Olay Whips is that it absorbs so quickly that I don’t have wait 5 - 7 minutes before applying my makeup. Do you know that you have to let your skincare fully absorb before applying make up or your makeup isn’t going to last you all day. I am currently using the Olay White Radiance and I look forward to applying it each morning because of the texture. Olay Whip is definitely one level ahead of moisturizers. 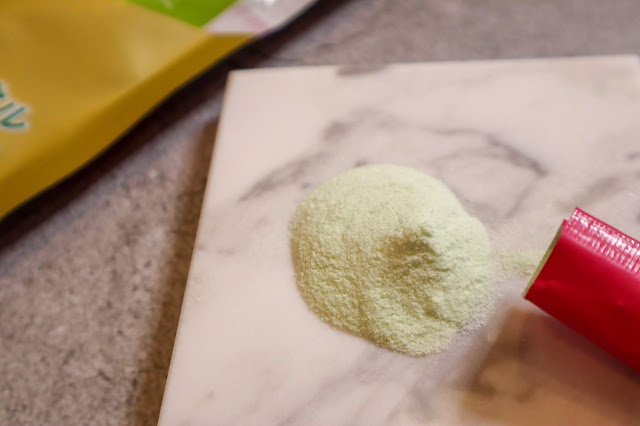 Olay Whips are formulated with Active Rush Technology to hold and quickly release 1000x its weight in hydration and active ingredients. Almost instantly transforms from cream to liquid when in contact with skin which is why Olay Whips feels light as air and doesn’t leave skin feeling greasy, sticky and tacky. There are 3 types of Olay Whips currently, the Regenerist, Total Effects and White Radiance. Olay Regenerist, perfect for women who is hitting the big 3-0 and beyond like myself who is always worried about fine lines and wrinkles. Olay Regenerist is formulated with Advance Amno-Peptide Complex II to regenerate surface cells The Olay Regenerist diminishes the look of fine lines and wrinkles and actively hydrates to improve elasticity and firms the skin. Olay Total Effects, perfect for everyone. This has seven skin benefits in one product: it actively replenishes nourishing moisture, evens skin tone appearance, enhances brightness, visibly smooths fine lines and wrinkles, minimizes the look of pores, restores firmness and visibly reduces dark spots. It’s formulated with VitaNiacin Complex II and Vitamins C & E to fight the early signs of aging. Olay White Radiance,the one I am currently using is the choice for women who want lasting radiance without the shine. It actively moisturizes to even skin tone and minimize the appearance of pores, formulated with PearlOptics™ science for lasting radiance. So if you’re looking for a lightweight, affordable moisturizer that doubles as a primer for your everyday makeup, I would highly recommend Olay Whips. It leaves skin feeling velvety-smooth and ready for flawless makeup application. All 3 Olay Whips varieties offer deep hydration with a lightweight formula that instantly absorbs into skin so you don’t have to wait to apply your makeup. Every second counts, especially when we are all so busy! Olay also launched its Olay Magnemask together with its revolutionary Magnetic Infuser on the same day. This new mask is nothing you have seen before. I thought I have seen everything from Sheet Mask, Bubble Mask, Clay Mask, Peel off mask until this. This new mask that comes with a magnetic infusing tool has definitely caught my attention. 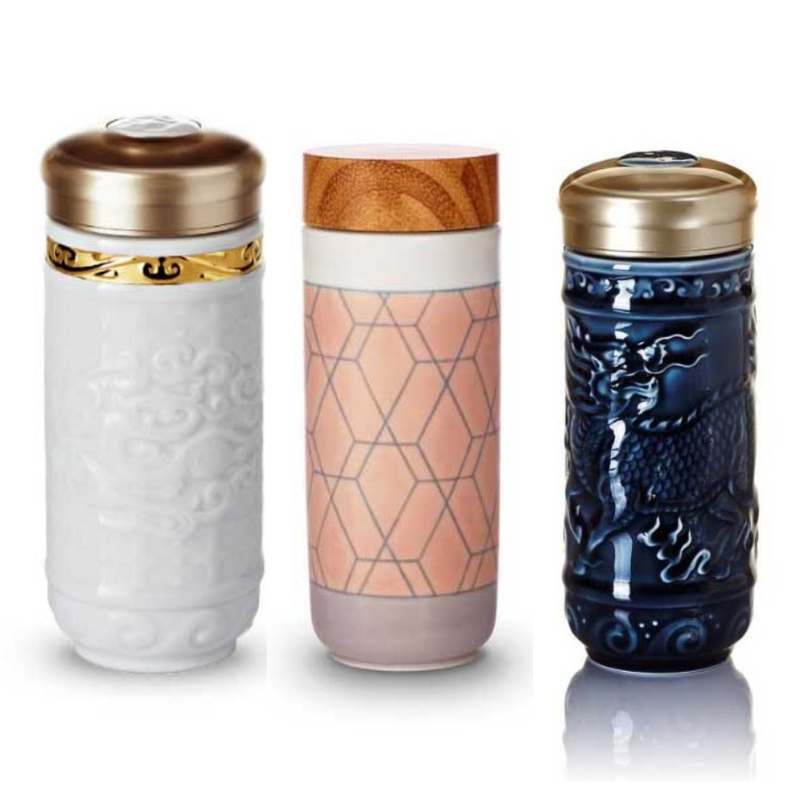 Olay has came up with a brilliant way to promote better penetration of its products with the magnetic technology. The Olay Magnemask Infusion Rejuvenating Jar Mask comes with an active ingredient-packed jar mask formula and a magnetic infuser tool that works to penetrate the formula beneath the skin barrier, delivering it 10 skin layer deep leaving us with firmer, plumper skin with less fine lines and wrinkles. The specially designed magnetic infuse has the same magnetic polarity as the ingredients Pentapeptide [PAL-KTTKS] and Niacinamide, it uses magnetic repulsion to deliver the nourishing ingredients deep into the layer of the skin for significantly better absorption results. I personally love how smooth and plump my skin felt in the morning after using the mask. I also realize that my skinlooked brighter as well. I am very confident that with prolonged usage of the Magnemask Infusion Rejuvenating Jar Mask my skin will be looking brighter and fairer. Another new Product from Althea’s own line! The Pore Purifying Serum Cleanser. This fabulous cleanser is actually a combination of a cleanser and serum, so this baby will deep cleanse your skin and making sure it's moisturized. The serum-like formula works to balance pH levels to give us bright and clear environment. On of its main ingredients is mint extract. If you don't already know the benefits of mint and our skin, well Mint is an abundant source of menthol and has strong antibacterial properties. It helps brightens complexion, treats acne because mint contains Vitamin A which controls the secretion of oil in people who have oily and acne-prone skin, it hydrates and tones our skin, it gets rid of blackheads, rejuvenates skin, slows aging, lighten and removes scars and diminish dark circles too. Mint seems to be everything I need in my skincare. The texture of the Althea Pore Purifying Serum Cleanser is rather light which makes the flow a breeze. The Althea Pore Purifying Serum Cleanser is also very easy to use. Use a small amount on damp skin, massage in circular motions and rinse with water once you are a done. I use this after removing my make up as a second cleanse and My skin definitely feels cleaner. 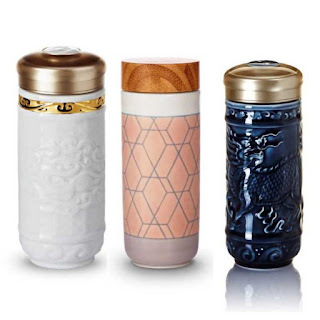 It is suitable for everyday use too and suitable even to those with sensitive skin. 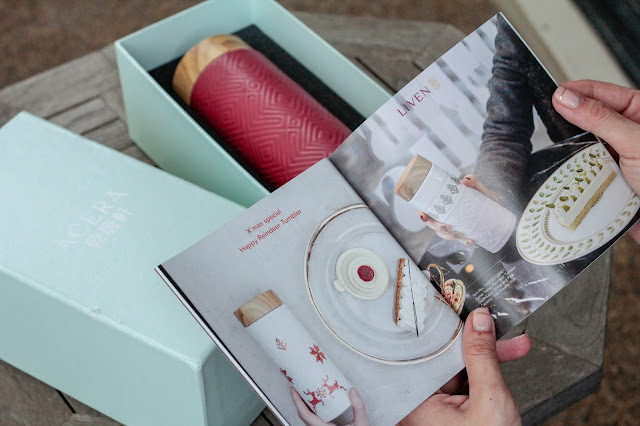 Head on to http://althea.kr/ and start shopping! 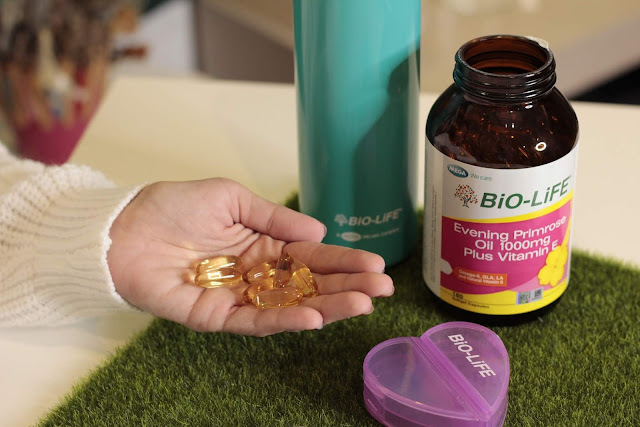 Biolife Evening Primrose Oil - Can EPO cure laziness? Age has a funny way of knocking some sense into me, which is good. I am becoming more health conscious after I hit the 30 mark, and I regretted not practicing all of this in my early 20’s. Thankfully It's never too late. Today, people are becoming more and more aware of their health and living a healthy lifestyle is becoming a trend. I see friends strive to abide living a healthy lifestyle which includes workout sessions, eating clean, sleeping well, staying hydrated and even meditation. All these does only good and no harm to us but did you know that for anyone conscious about their health, good nutrition is the foundation and usually the starting point for anybody looking to improve their health. Whether you opt to increase your intake of organic vegetables, choose all-natural meat over factory farmed versions, adopt a plant-based diet, or have a daily green smoothie, the key idea is to give your body the nutrients it needs to keep you looking and feeling your best. While the common rule is always food then supplements. What kind of supplements to take. 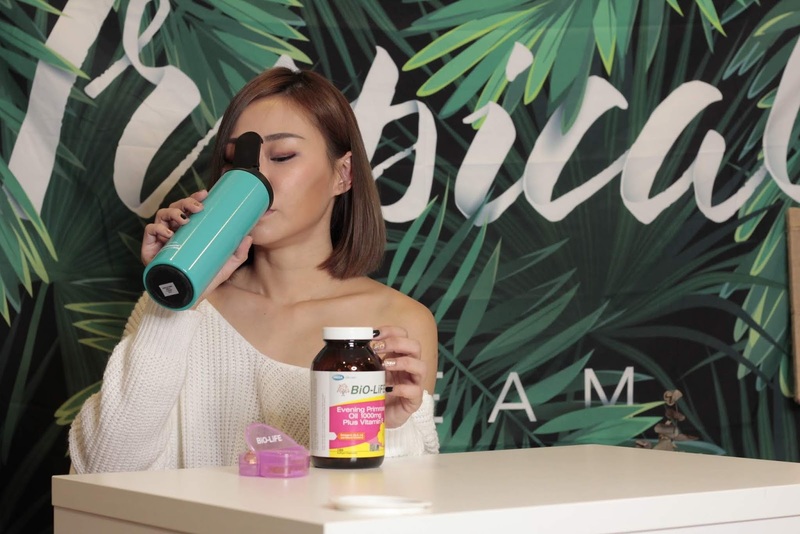 How does supplements benefit to an already healthy diet? The best supplements will vary from individual to individual depending on their needs. Lifestyle, age, nutritional deficiencies, and gender all play a role in what type of supplements would best suit their lifestyle. No matter how healthy anybody’s lifestyle may be, supplements should be part of a healthy and balanced diet. So what supplements do I take? 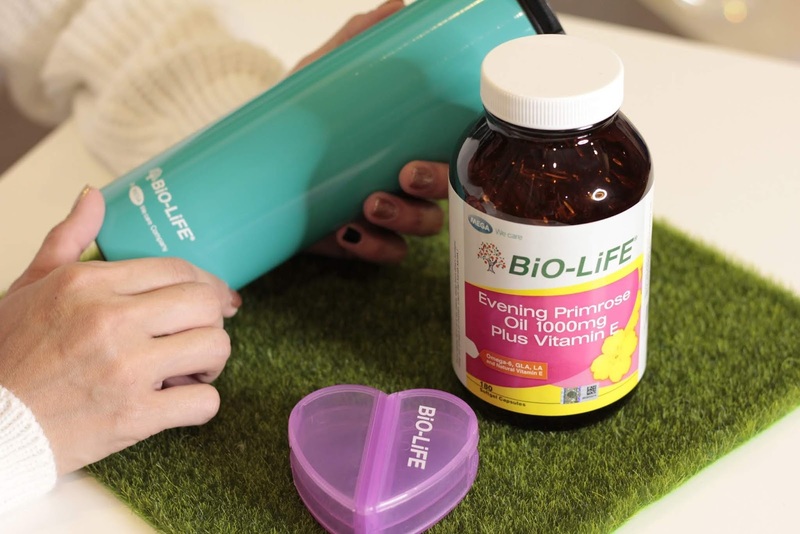 Recently I started my self on : Biolife Evening Primrose Oil 1000mg Plus Vitamin E [EPO]. 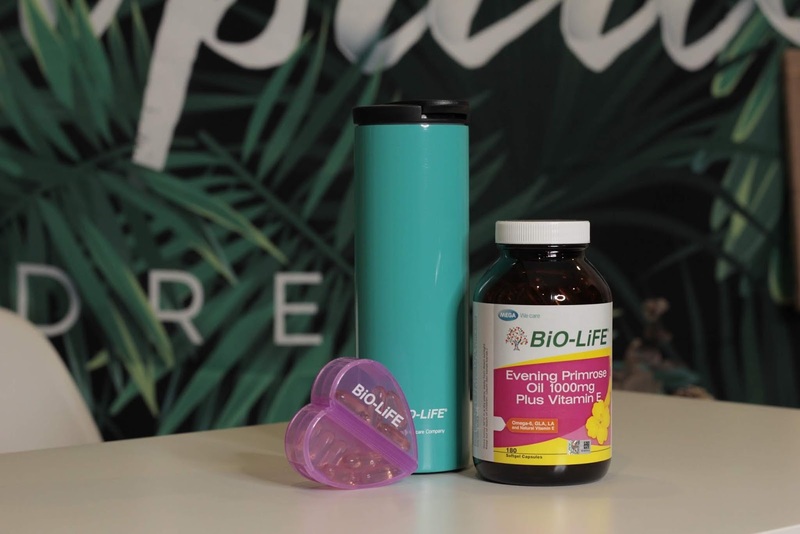 Biolife EPO is a Basic health supplement that should be taken by all women because of the benefits it will give us. What is EPO? Evening Primrose Oil is an oil extracted from seeds of the evening primrose plant. The evening primrose plant is one of the few native wildflowers in North America. As the name suggests, the yellow evening primrose blooms at night. It produces lovely yellow flowers from May to July. The evening primrose oil is known to have many medicinal uses such as relieving headaches, inducing labor, curing baldness and even as a treatment for laziness. *yes! Leaves, flower and all would be boiled in a tea which was believed to be a treatment for laziness and fatness. EPO is known to me as a health supplement for the skin, the oils extracted from the little yellow flower has many benefits for the skin. EPO is rich in Omega 6 fatty acids which can only be found from certain sources like plant oils and fish, Gamma-linoleic Acid [GLA] and Linoleic Acid [LA]. Just so you know, no matter how smart our bodies are there are some things it cannot produce which is why we need to rely on supplements. Here’s something you might not know, we women complain a lot when it's that time of the month, the time when we bleed so much but is still alive. Lol. Have you ever thought about when you don’t bleed? Yes, Menopause. It will happen to every women and just like PMS we can actually do something about it if we know what causes it . Women suffering from PMS or Menopause has a deficiency in Gamma-linoleic Acid [GLA], GLA is required to help symptoms such as headaches, depressions, irritability and bloating. It also relieves PMS Breast Pain and tenderness. Apart from helping to improve hormonal balance, other benefits of EPO are reducing inflammation and retaining the skin’s moisture which is very important to me as my lifelong goal is to achieve flawless skin. What are the benefits of EPO? Here are 22 Benefits which I gathered, some which I find relevant to me and some not yet,but prevention is better than cure. 17. Treats Acne *Yes! Yes! I used to grow these type of acne where it's hidden beneath the skin, but since I started on the EPO I haven’t experience it. Touch Wood! 9. 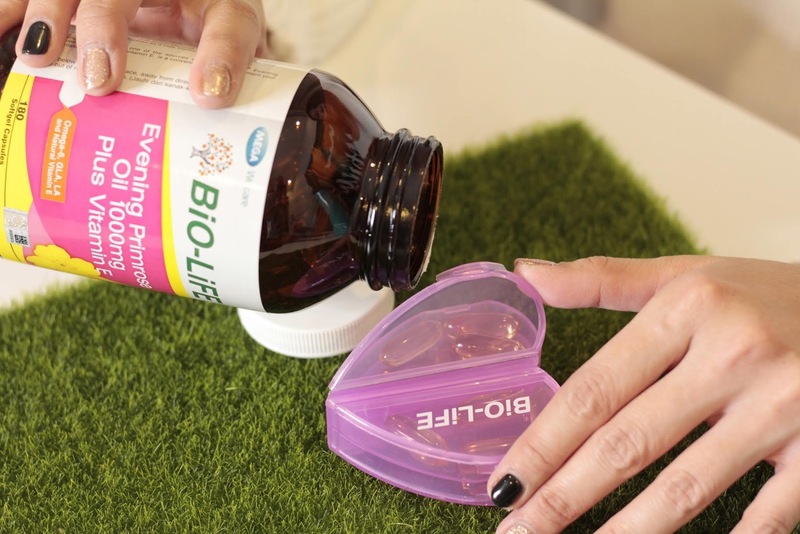 Nourishes Nails *This is very relevant to me as I love to keep my nails long and since I started on Biolife EPO my nails doesn't crack and break as easily as before. Which Brand of EPO is good? There are so many brands of EPO in the markets it is indeed hard to decide. I have done countless of research on what’s good and what’s not. For health and also easy on the bank accounts as we all know supplements are a long term thingy. There is no point to take supplement for just a month or two. 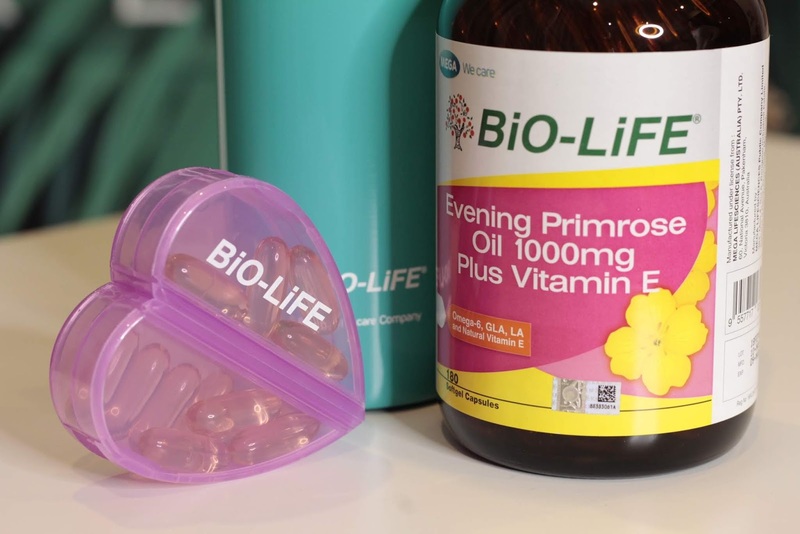 I finally decided on BIOLIFE EVENING PRIMROSE OIL1000mg PLUS VITAMIN E. What contributed to my decision these. So all that being said, I would strongly recommend every women to start taking Biolife Evening Primrose Oil. 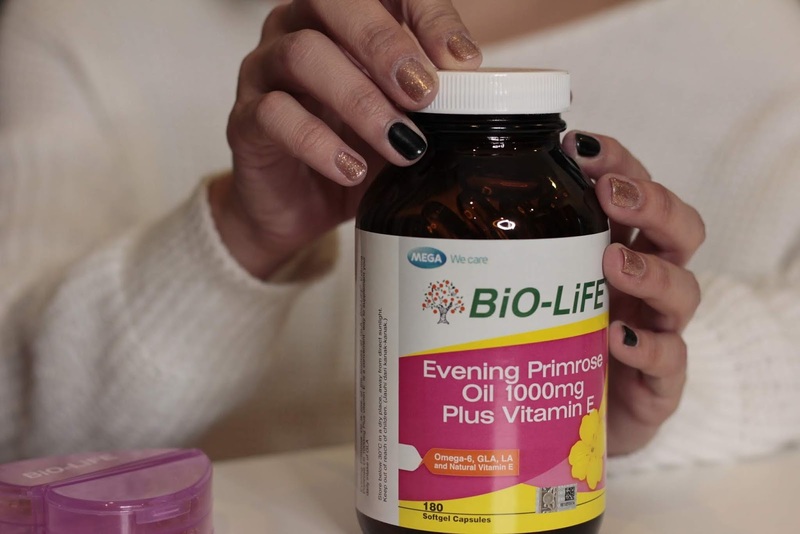 Biolife Evening Primrose Oil can be bought from Leading pharmacies nationwide such as Watson’s, Guardian and local Pharmacies. Do check out Biolife Website or BIOLIFEFACEBOOK for more information and promotions. I have come to the age where I try to keep a healthy lifestyle, eat and sleep healthy and take all the necessary supplements. But did you know that our body need to detox all well in order to take in all the nutrients we are feeding. Today I am going to share with you a new innovative detox formula by LENNOX, I guess we all know the brand LENNOX for their collagen. 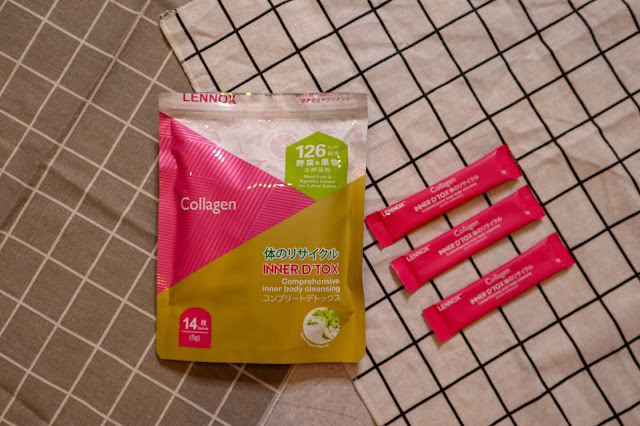 They were my first collagen brand way back. Detox is a process of eliminating toxins from our body. Our bodies are exposed to toxins every day, from the food we eat which contains pesticide and preservatives, the water we drink, the air we breathe and even stress produces toxins. All these toxins need to be removed or it will be stored in our bodies as fat. Inner D'Tox has launched 4 different variety of L D'tox Enzyme which are Waterful Skin, Diet Enzyme, Antioxidants & Prebiotic and Collagen. 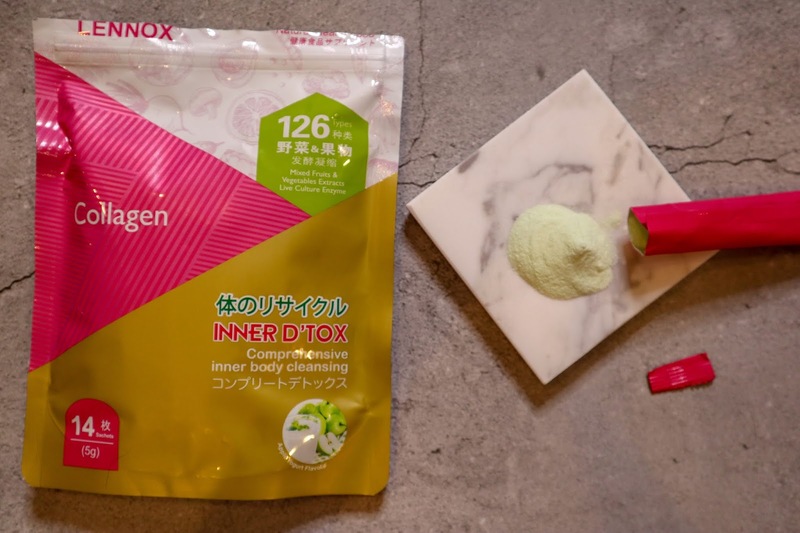 INNER D’Tox Enzyme is enhanced with mixed fruits, fibre, prebiotics, inulin and herbs, it is functioned to equip and strengthen our body's detoxification system the natural and safe way. As we age the enzymes in our body decrease naturally and it is very important to take the correct supplement. What are enzymes? Enzymes are biological molecules (typically proteins) that significantly speed up the rate of virtually all of the chemical reactions that take place within cells. They are vital for life and serve a wide range of important functions in the body, such as aiding in digestion and metabolism. How do you know the enzymes in our body is insufficient? Look out for signs such as Trouble digesting fatty foods which will result in Bloating or cramping pain after meals, Loose, greasy, foul-smelling stools, Deficiency in fat-soluble vitamins A, D, E and K. Do also look out for Bacterial overgrowth in the small intestine (also known as SIBO), if you have bacterial growing in the small intestines you will feel a lot heavier that usual, sluggish, cramps after meals, heartburn and you might have myofascial pain. A deficiency in enzymes in our body can cause acne, Eczema, Headaches, Mood Swings and joint pains. 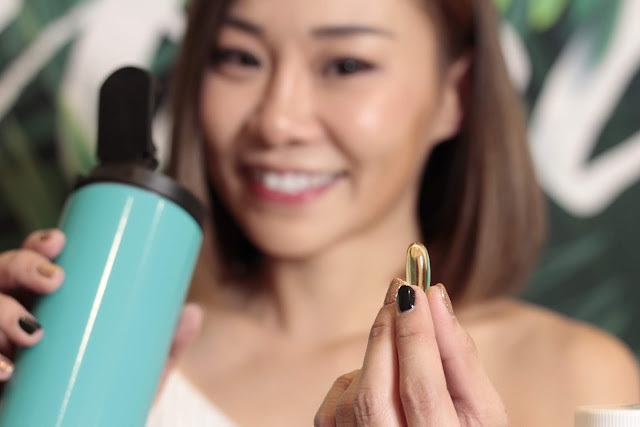 INNER D'tox Enzyme has the capability to transform not iust internal beauty by flushing out unwanted substance off the body through excretion but is also able to restore a healthier, beautiful you. There is however different formulation for different needs. 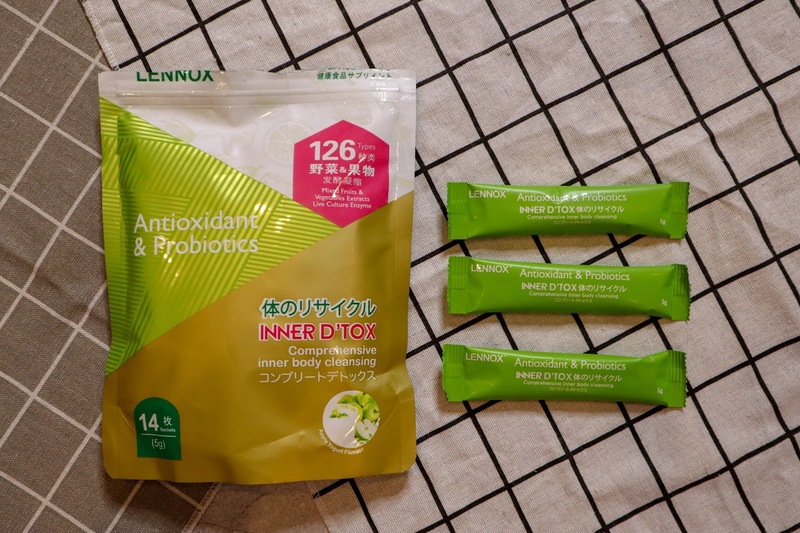 Lennox Inner D’Tox Enzyme is really easy to take and it's very convenient. All you have to do it tear open the sachet and pour its content directly into your mouth. When the content touches our saliva it will automatically melt away. You can drink water after that if you like but I don’t, instead what I do do it drink a lot of water throughout the day as this will help the enzyme work better within our body . All the Inner D’tox Enzyme has a Apple Yogurt Flavour which is easy to take. 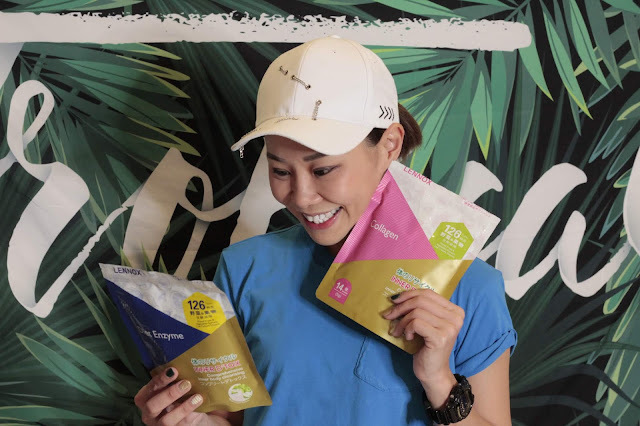 Take this twice daily, one sachet at a time and the best time to take the D’tox Enzyme is just before breakfast and before dinner as you will allow the enzyme to wrap the food and easily excrete it. I have been taking the Lennox Inner D’Tox Enzyme Collagen Enzyme for a week now and I will be starting on the Antioxidant & ProbioticsAntioxidant Enzyme, followed by the Waterful Skin Enzyme and Diet Enzyme. I will keep you guys updated here on how it has benefited me. If you girls would love to try this you can get it from Watson’s Online ! Always remember that enzymes does play an important role in our bodies, regardless of age. Always remember to supplement the body with enzymes to ensure that your skin, hair, and health is always at its best! 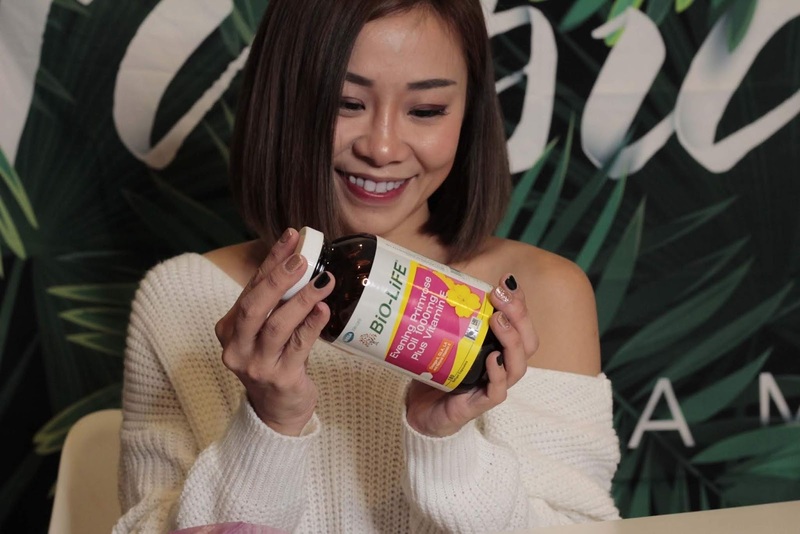 Check out the video on Lennox Inner D’Tox Enzyme Collagen Enzyme featuring Hong Kong actress!